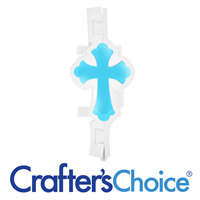 Use the Cross Mini Mold to top soap bars, cupcakes and bath fizzies to celebrate religious holidays or support an event. 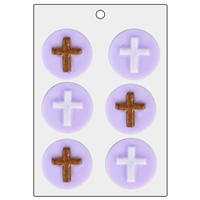 Create cross soaps for easter, First Communions, weddings and much more! 1.875" x 1.375" x 0.3"